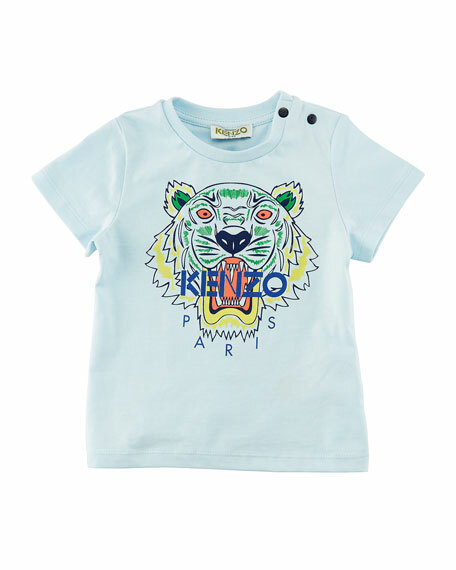 Kenzo tee, featuring signature tiger with logo at front. For in-store inquiries, use sku #2477123. 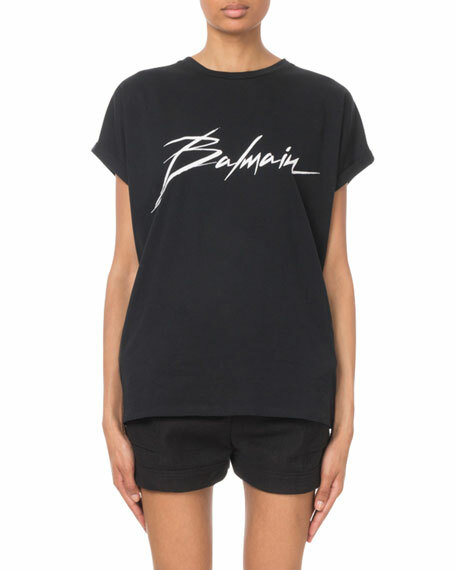 Balmain tee in cotton knit with logo signature wordmark. Crew neckline. Short, rolled sleeves. Relaxed fit. Hem hits below hips. Pullover style. Cotton. Made in France. Givenchy T-shirt in cotton jersey, featuring distressed logo print on front. Crew neckline. Short sleeves. Oversized fit. Straight hem. Pullover style. Cotton. Dry clean. Imported. 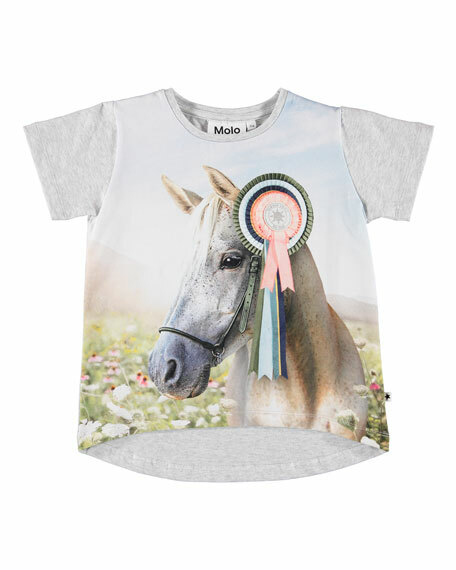 Molo "Risha" tee with show horse print at front. 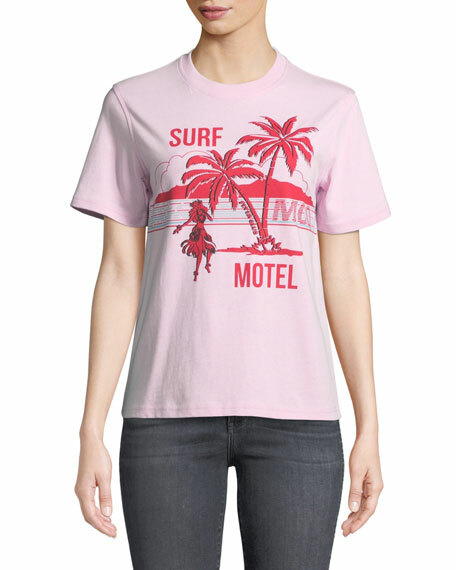 Contrast, heathered collar, sleeves, and back. Crew neckline. Short sleeves. Arched high-low hem. Pullover style. Cotton/spandex. Imported.